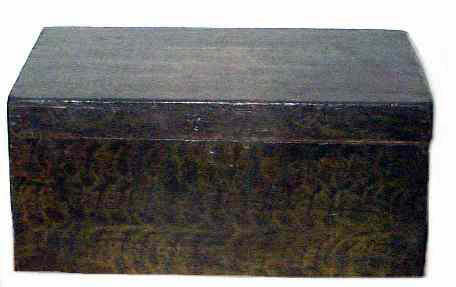 Very Fine Vinegar Grained Box in overall excellent condition. At some point in its life the lock was replaced . . . a very well done replacement too! Fine original surface . . . great color and condition. Size is 17 1/2" x 10 1/2" x 8 1/2" tall.